April | 2013 | Sonic Smash-Music! Reggae songwriter and performer Warria Trumpet has released his latest single, titled, “She Like It,” to critical and fan acclaim. The track is the newest release from the up and coming modern reggae artist Warria Trumpet, who recently signed with the Multi Lynk Ent / Multi Nation Recordz music label. Like some other of Warria Trumpet’s songs, and as might be suspected, “She Like It” is based on lighthearted, romantic themes, and is carried by Warria’s own vivid color of reggae music. It is not, however, the romantic ballad that is the main focus of Warria’s music. Warria Trumpet has made a point of stressing to the press that he intends his love songs to “get the ears of the people,” and to prove versatility. This versatility is certainly proven, once one hears the difference in tone between sensual tracks like “She Like It” and more solemn anthems, like his self-explanatory war cry of the people, “Pain and Poverty,” which song sees Warria in more familiar territory. 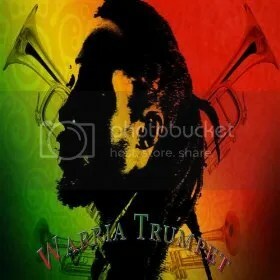 By the Rastafarian term, ‘I and I,’ Warria alludes to the Biblical name God gives for Himself with the mystically meaningful phrase, “I Am that I Am.” Warria calls the trumpet the “same sound of I and I” because there are many Biblical references to the trumpet being the instrument of the hand of God, Joshua’s toppling of the walls at Jericho being one of the more well known examples. The Warria Trumpet single “She Like It” is available online worldwide beginning spring of 2013. The Florida based singer and songwriter of reggae, soul, and hip hop music, Blade Martin, has released his latest and greatest single, titled, “Celebrate Your Life.” The track is the most recent offering from this singer who is often billed as a “businessman by day, sultry performer by night.” Martin is well known in the Florida area for performing romantic ballads with healthy reggae overtones and strong undercurrents of soul. Much like his recent hit single, “3AM (Show You),” “Celebrate Your Life” is poised to take the American peninsula, and then the world, by storm. Martin has been writing and performing music since his teens. His latest offering, “Celebrate Your Life,” is a jubilant, upbeat dance number that exemplifies Martin’s signature reggae, soul, and hip hop blend, which is best described in that order. The song boasts an extremely infectious chorus refrain that demands an encore, and colorful, creative melody lines that carry the tune like a pied piper. Showcasing the skills of Blade Martin to a “T,” it has been mixed by the Grammy Award winning bass player and engineer, Christopher Meredith. This genial sentiment is found throughout the repertoire of Blade Martin, and he excels at outwardly professing the same. 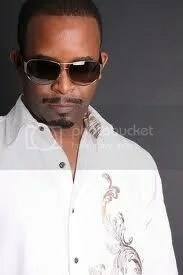 Blade Martin has performed with such talented likes as The Millennium Band, The Nubian Players Band, The D.H.W.A.S. Band, and The Code Red Band. “Celebrate Your Life” by Blade Martin is available online everywhere beginning spring of 2013. Hot on the trail of his last extended play release, composer of electronic dance music Lars Alexander has published his latest EP record, titled, “Star Walking,” to critical and fan acclaim. The record is comprised of six original tracks for a total of 22 minutes worth of excellent dancing and listening time. It is the composer’s first release since his EP “My Melodic Trance,” which was released in January of 2013. “Star Walking” is a wave in the same set as “My Melodic Trance,” although perhaps a tad more vivacious and direct, which is saying something considering the high-octane beats and melodies of the earlier record. “Star Walking” is an adrenaline-charged, “get up and move” album to which fans can listen casually, but which will also require some physical movement on the part of the music fan. There is no feasible way to be in the room with a Lars Alexander record playing without taking part in the dancing. This is perhaps more true for “Star Walking” than it has been for any previous Alexander release, although it is certainly true for all of them. This is at least partially due to Alexander’s background as a professional dancer, the occupation which sometimes takes him away from his secret passion, the writing and producing of electronic dance music. His goal in writing music is to be the catalyst other dancers need to truly express themselves. 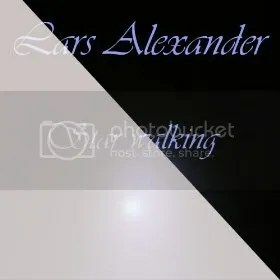 Alexander names as main musical influences the likes of popular musicians Tiesto, Armind Van Buuren, and Sash. His newest offering, the EP “Star Walking,” is available online everywhere beginning spring of 2013. 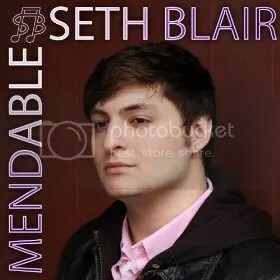 The precocious pop singer and songwriter, Seth Blair, has released his newest record, an LP called “Mendable.” The album is comprised of 14 original tracks for a total playing time of 52 minutes, making for an excellently comprehensive introduction to this rising star for listeners who have not yet experienced his music. A collection of mostly pop-oriented electronic dance tracks that are exceedingly suitable for casual listening, “Mendable” is poised to bring Seth Blair into the limelight he clearly deserves. Seth Blair is the birth name of the artist previously known as Digital Optimism, under which moniker Blair has published three full-length albums, “Want You Bad,” “Neon Nitrogen,” and “Up and Down.” At the young, yet apparently very ripe age of 17, this makes him one of the most prolific music composers in his age group, averaging four LP records in three years. In addition, the variety in these LPs is also remarkable. Though recorded back-to-back over a relatively short period, an experimental trajectory is clear over the four records that outlines a surprisingly complex diversity in styles. Blair is not one to shy from a fun idea for the sake of conceptual consistency. “Mendable,” like the records preceding it, takes turns that one is not expecting, revealing Seth Blair to be not only a courageously creative songwriter, but also a very versatile singer and performer. This is perhaps partially due to his wide range of instrumental interests. “Mendable” by Seth Blair is available online worldwide beginning spring of 2013. 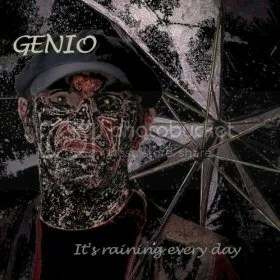 The eclectic singer-songwriter known as Genio has released his newest official single, titled, “It’s Raining Every Day.” The song is a remarkable mix of chord progressions and movements that invite a more full understanding of the nature of life, which Genio reminds us is not always sunshine. The heart of the track is a general tone of stoic malaise, one which is not melodramatic, but rather philosophical in mood and intelligence. Genio’s chords are mostly minors for a dark, rainy sound – appropriately so – and his voice is a surprising, shadowy intonation from somewhere far away, or perhaps lurking above. The overall experience is like a Socratic seminar crossed with a haunted mansion. In his own words, Genio explains that the point of his song is to remind the world of the darker side of life. Genio reminds that simply acting positive doesn’t necessarily equate to being positive, nor having positive effects on the rest of the world, neither. “It’s Raining Every Day” is also a song about humanism, though, about how one can do another wrong for shortsighted reasons. “Unfortunately, we too often act [badly] towards each other because of our fear and pain, or wounds within,” says the recording artist. “It’s Raining Every Day” is not all clouds, however, and it does not need to culminate in depression following a listen-through. The music is quite beautiful, and Genio’s vocals are richly mysterious. The entertainment factor is in its relentlessness. Genio accedes that his song is brutally honest, but also says that this is where all the fun is. “It’s Raining Every Day” by Genio is available online worldwide in spring, 2013. 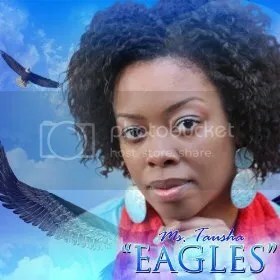 The R ‘n’ B gospel singer from Greenville, SC, known as Ms. Tausha has released her newest single, “Eagles,” on the Luv U 2 Lyfe Productions record label. The song is an impeccably performed, highly inspirational track that has become the current focal point for fans of Ms. Tausha, who has released this single as an introduction to her music as she continues the production of her debut full-length LP in the studio. The track is most notable for its direct treatment of Ms. Tausha’s subject matter, which is that of the glorification of her Lord and Savior. Many performers of gospel and ecclesiastical music take their cues from the mainstream while managing to remain within the bounds of acceptable conduct and lyricism of their respective labels. Tausha is not riding any such fence, however. Ms. Tausha, although clearly slated for the stage long ago, has only been dedicated to her craft since 2005, when she moved to Atlanta to pursue her singing. Still, songs have been with her since the beginning, and not just psalms of praise, either. While anyone who hears the first twenty seconds of “Eagles” can agree that its higher purpose is clear, there are still personal themes within the track, too, which hit upon Ms. Tausha’s more personal connection to the song. She explains how she found succour and support in the Good Book following an unfortunate romantic split. The solo artist known as BrotherWood has released his debut rock single, titled, “Higher.” The track is the first official release from BrotherWood since his 1995 LP, “For the Machine,” with his band Lyamaneye (Liam-an’-I). The song is part anthem, part ballad, and greatly inspirational. It features the polished, catchy songwriting and powerful vocals of Jason Wood, whose talents are at the burning core of “Higher,” and which talents prove him to be every bit as explosively dynamic as he ever was. BrotherWood’s voice has matured over the years to obtain a darker, rougher tone, like whiskey aged in oak barrels. The result is a stronger and more aggressive vocal timbre, like Bruce Springsteen crossed with Jon Bon Jovi, though with the same post-grunge style that has characterized Wood’s music from the very beginning. “Higher” is a song that plainly proclaims BrotherWood’s return and demonstrates his seemingly endless capacity for writing heartfelt, majestic, melodic rock music. Unlike many teens around the globe, however, Wood was not content to merely experience the artistry of others. Clearly, some of that music has been locked away in BrotherWood’s soul just waiting to hit the studio. “Higher” is not all about music, however. It’s also about mending. Surely these lofty and admirable aspirations are certain to be fulfilled, but even more certain is that the music world is glad to finally have BrotherWood back again. 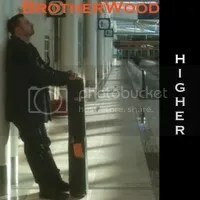 “Higher” by BrotherWood is available online worldwide beginning spring of 2013.